Very inspiring plot based on a true story where Indian Govt safely evacuated 170,000 Indians from Kuwait. To me it looks like a nail biting thriller on similar lines of Argo and Last King of Scotland. Narration style is crisp and has remarkable similarity to Baby and D-day style. Akshay Kumar has perfected this thriller genre in Special 26 and Baby. Nimrat Kaur being the leading lady, it adds to the credibility of film. I am a little skeptical about the direction though. Director Raja Menon is a rookie who has written-directed-produced 2 mega flops "Bas Yun hi" and "Barah aana". Nikhil Advani is the producer has also contributed in Story and in all probability would have micromanaged the direction too. I am not a big fan of Nikhil Advani's work except "Kal ho na ho" and "D-Day". 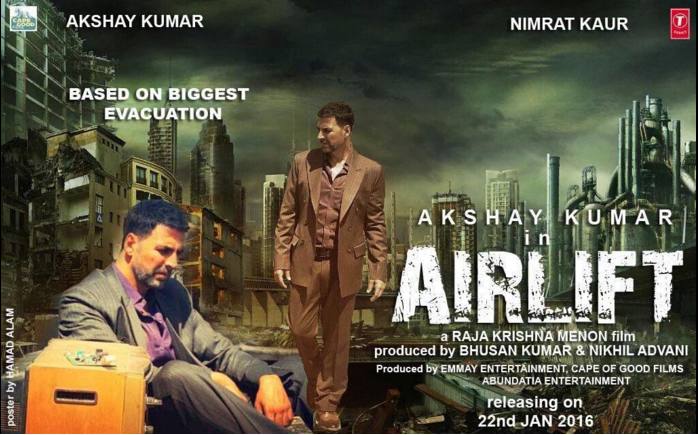 Responsibility lies on the able shoulders of Akshay Kumar, how well he can pull off this one. Let's hope he gets maximum screen time and movie is made crisp with good editing.